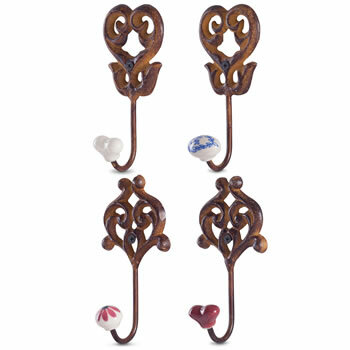 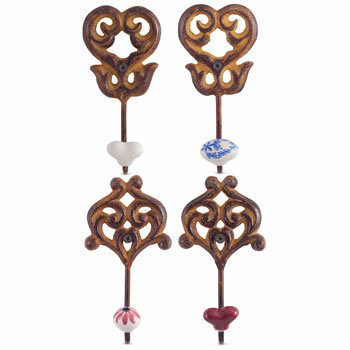 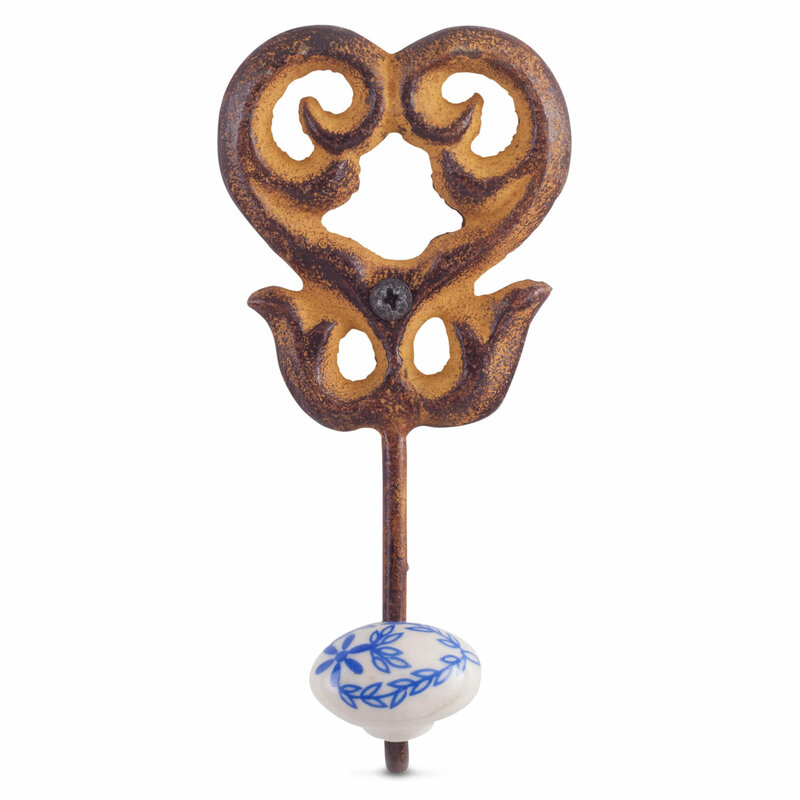 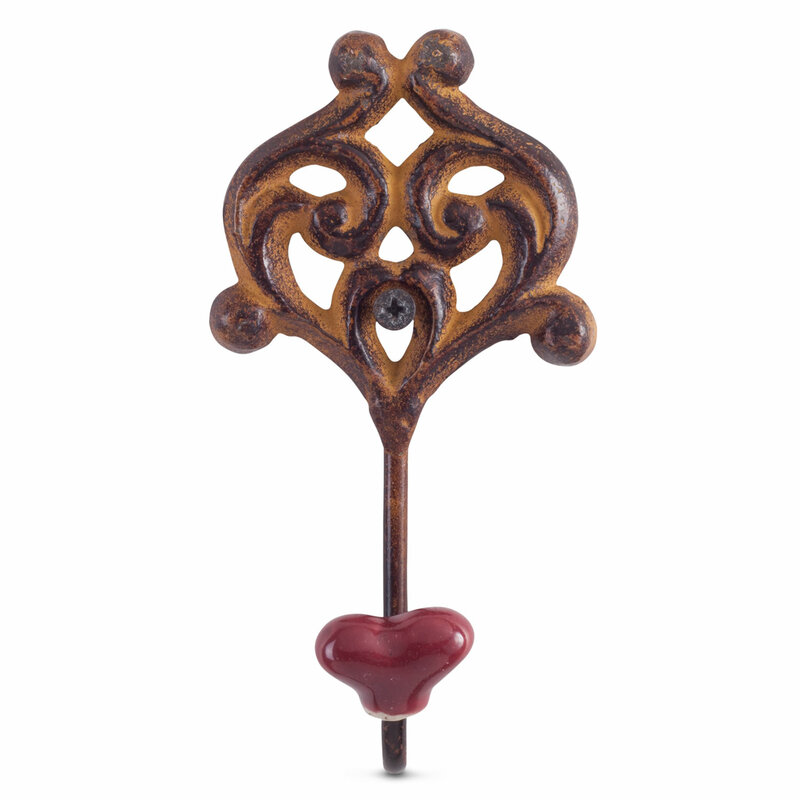 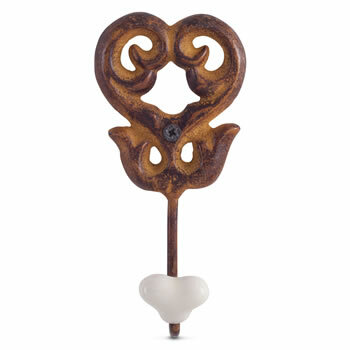 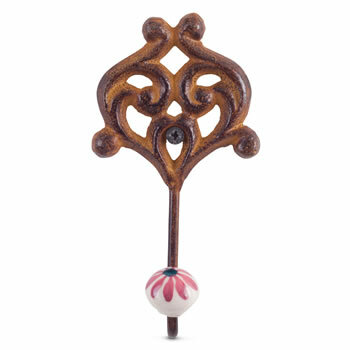 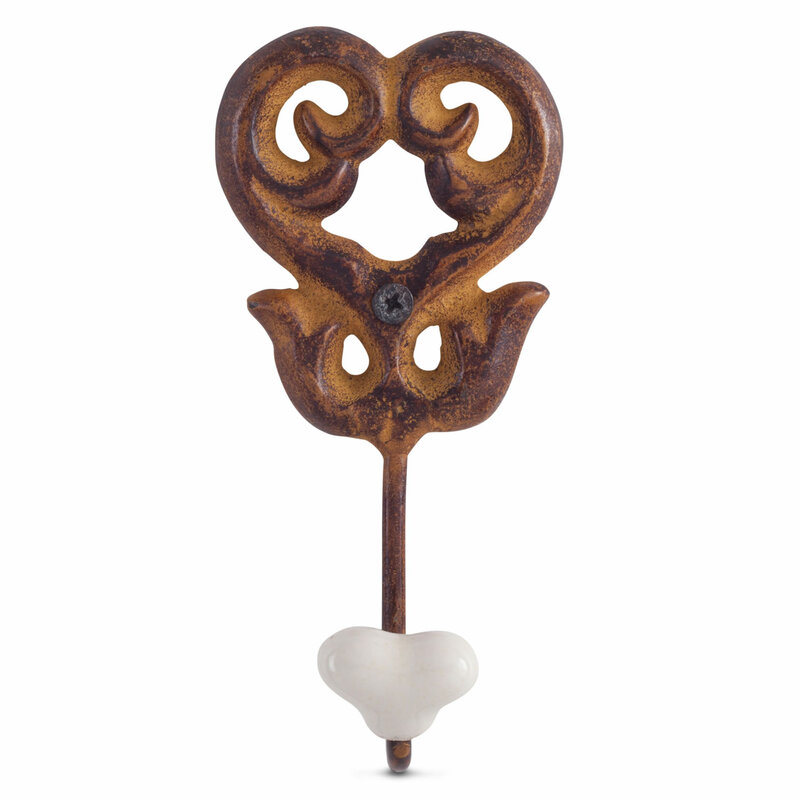 A set of four wall mountable hooks for the home, can be used in many rooms but would make a wonderfully eye-catching vintage feature in your entrance hall or porch. 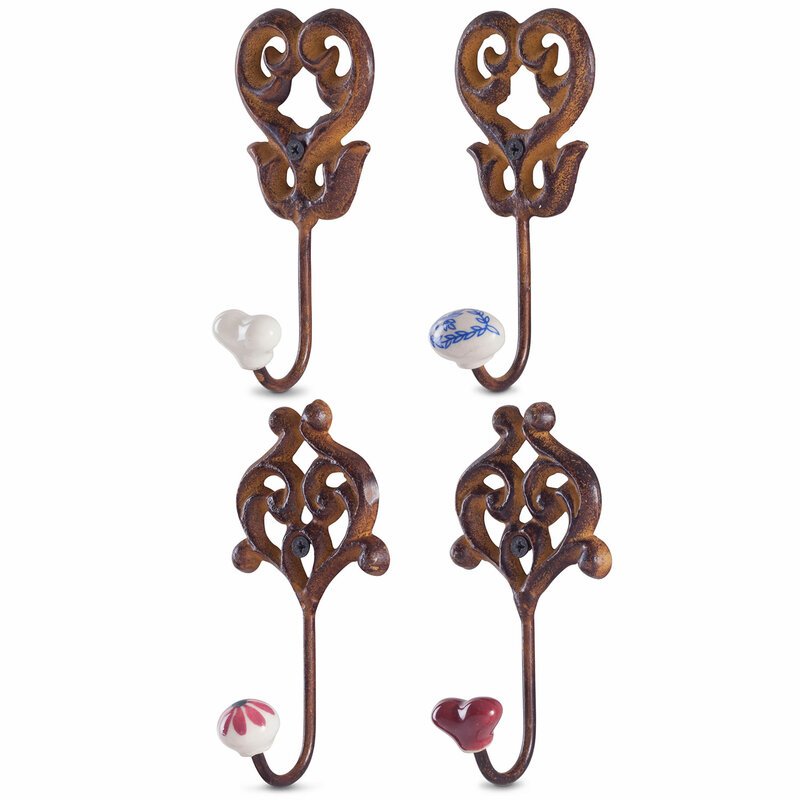 Made from rusty look cast iron with ceramic ends, one of each design included. H13.5 x W7 x D4cm in size.